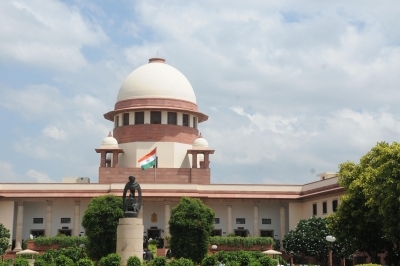 New Delhi, July 28 (IANS) The Supreme Court on Friday issued notice to the Central government on a petition challenging changes in the Finance Act, 2017 and saying new regime of appointment and removal of judges in tribunals introduced through the Act is grossly unconstitutional. A bench, headed by Chief Justice J.S. Khehar, sought response from Law and Justice and Ministry of Finance Ministries within two weeks while hearing a plea filed by NGO Social Action for Forest and Environment (SAFE) which said the Act gives “unbridled and unguided authority” and discretion to frame rules of 19 tribunals. These amendments also transfer to the Central government the power to draft rules pertaining to the appointment, qualifications, terms of office and removal of the tribunal chairperson and members, it said. Advocate Vivek Chib, appearing for SAFE, said that there were various guidelines for appointment of judicial members in tribunals, and by snatching away the power of appointment from the judiciary, the Centre aims to centralise power. “The Act have severely diluted the qualifications of all members (including Chairpersons and Judicial Members) of such tribunals as well as given primacy to the Central government in the manner of appointment and removal of such member, which is violative of the basic structure of the constitution, in particular, the sacrosanct principles of rule of law, independence of the judiciary and separation of powers,” said the plea filed through advocate Ruchira Goel. The plea also objected to terming the Finance Bill, which was passed by the Lok Sabha in March, as a money bill over which the Rajya Sabha has no power.